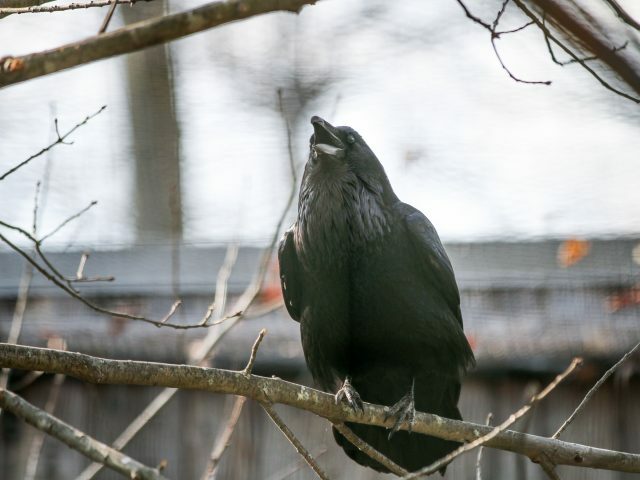 Ravens are considered among the smartest in all bird species. In scientific experiments they have been able to solve complex problems. In nature, they are known to make and use tools – a skill once attributed to only humans and the great apes (chimps, orangutans and gorillas)! 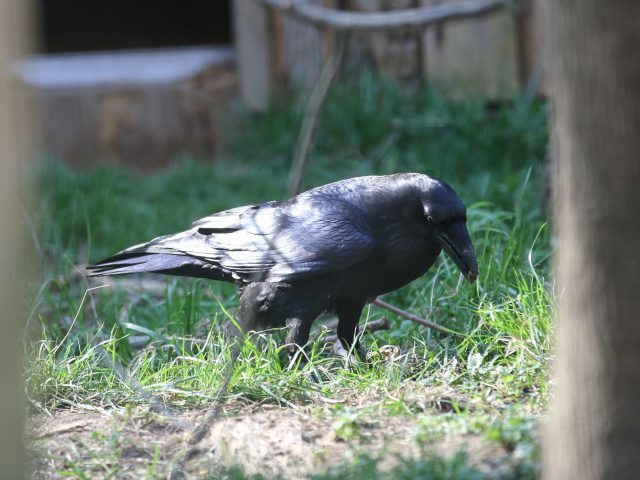 Common Ravens are entirely black, right down to their legs, eyes and beak. 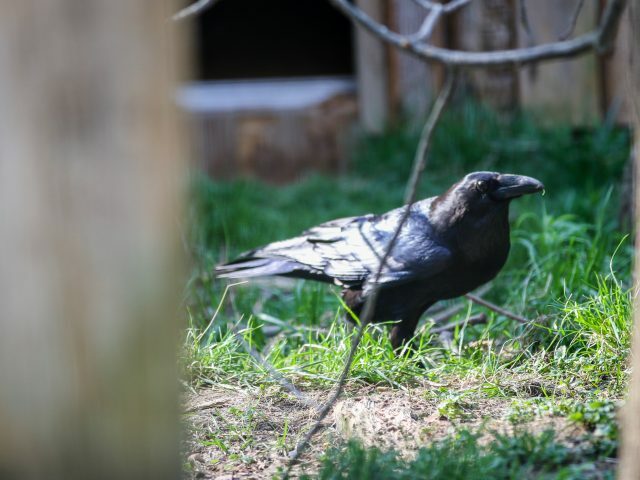 When you see a “conspiracy” (group) of ravens, it usually means there is a large food source nearby such as an animal carcass. 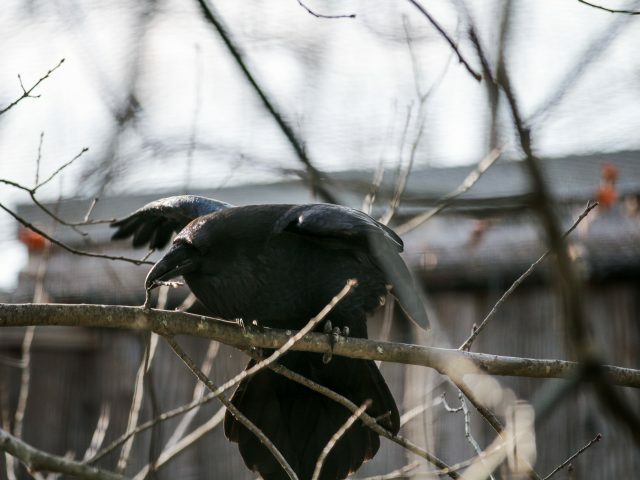 We have two raven at Potter Park Zoo, our female, Lily and our male, Rocky. 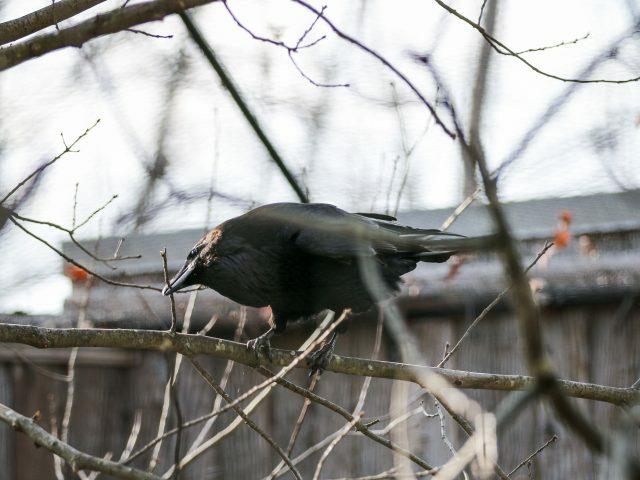 Birds of the Corvidae family are called corvids. 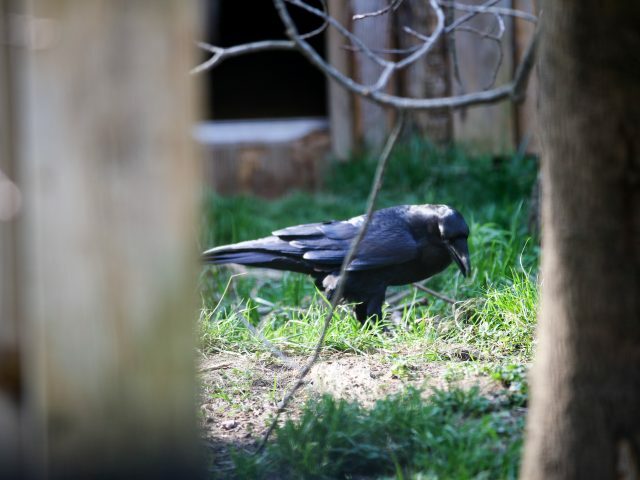 They include more than 120 different species from almost every part of the world, including ravens, crows, jackdaws, rooks, magpies, treepies, choughs and nutcrackers. Most are non-migratory, meaning they stay in one location throughout their lives. 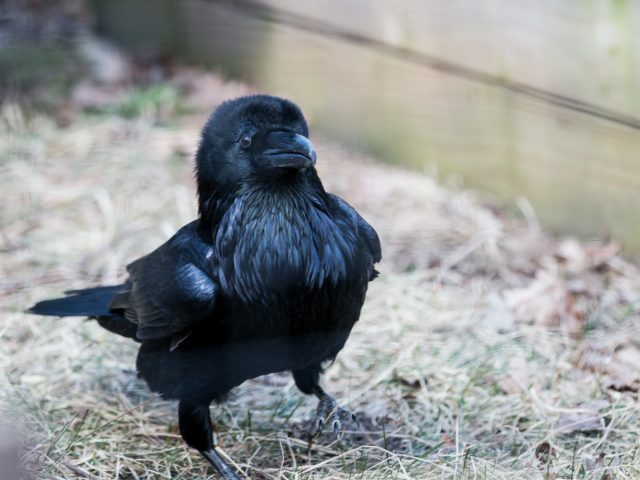 Corvids can be large and have somber appearances like ravens and crows, or be smaller and colorful like the green jay or the western scrub-jay. Is it a Crow or a Raven? 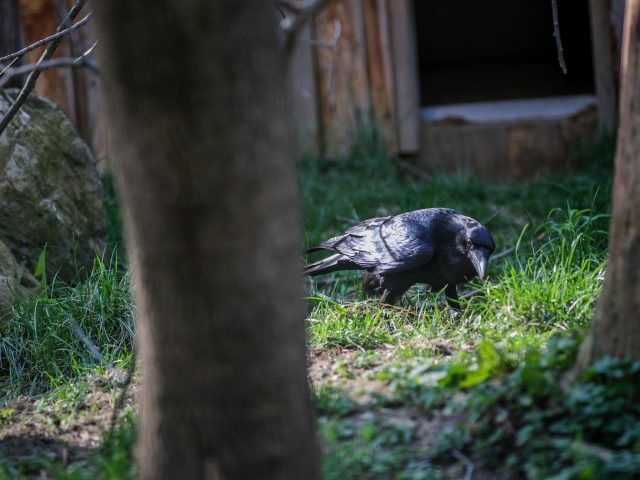 Ravens are known as scavengers, which means they feed on dead animal and plant material. They are excellent hunters and will cooperate to hunt down prey too large for a single raven. They also feed on eggs, rodents, worms, insects and grains.